Even something as natural as breastfeeding your baby doesn’t always come naturally. When new moms have questions, the experts at the OSF Saint Francis Breastfeeding Resource Center have answers. And thanks to new tele-breastfeeding technology, getting the answers you need is more convenient than ever. 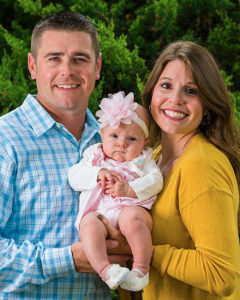 Alaine Robinson was home with her newborn daughter, Emery, whose tendency to fall asleep while eating was causing a lot discomfort for Alaine. She was able to schedule a tele-breastfeeding consultation. She used her laptop to video chat with a consultant in Peoria from the comfort of her home in Washington. Lactation consultations are available at the resource center, at your bedside after delivery at OSF Saint Francis and over the phone. With the addition of the televideo option, moms and consultants are better able to not just talk through the problem, but see one another through a private, secure connection. Creating a sense of comfort is always a goal when lead lactation consultant Polly Kocher works with a breastfeeding mother. She lets the woman lead the conversation. After all, Polly may be the breastfeeding expert, but parents know what works best for their child. For more information or to schedule a tele-breastfeeding session, contact the OSF Breastfeeding Resource Center at (309) 683-6672.